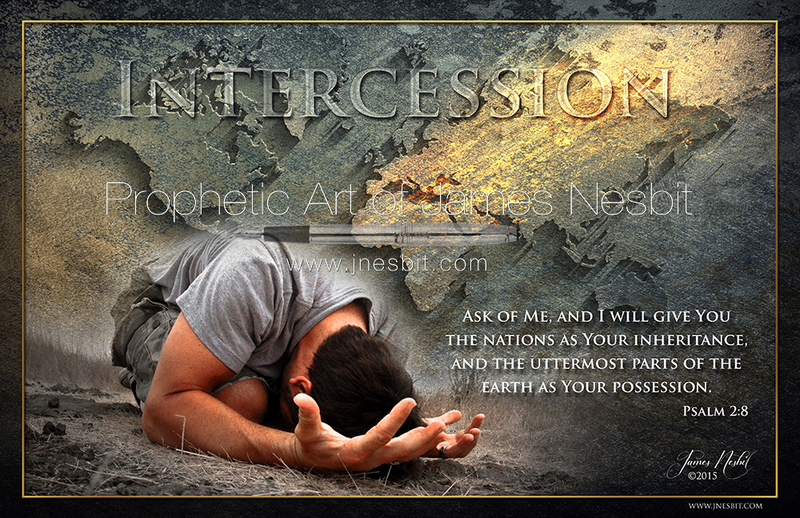 Intercession that needs to come forth . . .
2 Chronicles 7:14 KJV If my people, which are called by my name, shall humble themselves, and pray, and seek my face, and turn from their wicked ways; then will I hear from heaven, and will forgive their sin, and will heal their land. How does that fit with today? Satan is trying to destroy the power of prayer. He’s trying to steal your faith. He’s trying to paint a different picture of the heart of God than what His Word says. If we will humble ourselves and pray. If we will humble ourselves and pray. Repent - which means to turn from our wicked ways. He will hear and He will heal the land. In the book of Joel, verse 12 of Chapter 2. Joel 2:12 Amp Therefore, also now, says the Lord, turn and keep on coming to Me with all your heart, with fasting, with weeping, and with mourning…. Does this sound like a pleading God to you? Does it? Does it sound like a God that has something more in mind than wrath? Joel 2:12f-13b Amp [until every hindrance is removed and the broken fellowship is restored]. Rend your hearts and not your garments and return to the Lord, your God…. Listen to this. This is the heart of God. Return. Return. Return. America, return. Church, return. This is His heart. He is not standing with the bowl of wrath in His hand, saying, “I’m fed up with you! I’m not going to wait any longer!” He is saying, “Turn, turn, turn!” How? With weeping, with fasting, with prayer, with repentance. Rend your heart. He’s not talking about sitting in your armchair like someone who is looking at the world through someone else’s travel experience. He is saying, “Get your heart involved! Weep! Cry! Bend! Rend! Let your guts hurt under the anointing!” Friends, cry like you’ve never cried before because your nation is falling away, and you’ve got a God that wants to restore! It is Satan that wants to drive America into the ground through sin. It is not God wanting to reject America. Please don’t believe anything else. Do you believe me? Remember, I’m the one that got up out of the sick bed because I love your faith. And I don’t like people trying to breaking it. Amen? Joel 2:13 Amp Rend your hearts and not your garments and return to the Lord, your God, for He is gracious and merciful, slow to anger, and abounding in loving-kindness; and He revokes His sentence of evil [when His conditions are met]. Now I want to ask you a question. Do you believe the Bible? Do you believe that when He says this, He means it? How much time are you spending in prayer? Are you lifting this passage up to Him day and night? Do you sacrifice sleep to pray? Do you sacrifice eating to pray? Prayer is not something I’m telling you to do. The Holy Spirit is pleading with us. Someone else might not be praying, so we may have to make up for their lack, we must pray until we have prayed it through. God will answer! Sin begins to pile up when a nation is born. It gets greater and greater until the cup that has been created to hold all that sin becomes full. If repentance does not turn the tide, the cup continues to fill. However, when God is saying repent, and He finds a people who will take action and the cup begins to empty according to the intercession. It’s not like one big outpouring to empty the sin out of the cup. Little by little, through repentant intercession, we are getting further away from the rim. Now of course, America keeps sinning, but God keeps forgiving. Boy, am I glad. It’s taken us 400 years to get where we are and I am so glad it is not going to take us 400 years to undo it. Our job is to repent. God’s job is to change the heart of the people. We cannot do that, but He can. But what happens when sin drenched circumstances happen, as we see every day, you become weakened in your faith. I want to tell you something and I’ve got to say this to you, please listen; you have got to put your hand up in the realm of the Spirit and say, “We will not let sin dominate this nation! We will not let sin dominate this nation! We don’t curse the sinner. We bless him with a love for righteousness, but we will not let sin dominate this nation!” You’ve got to take that stand. Many remember the childhood story about the little boy who put his finger in the dyke to save the city. What would have happened if he had taken his finger out of the dyke? The city would have been lost. That is how we have to see ourselves. We cannot put our hand down. We have got to stand for God’s glory. We have got to stand for this nation to be purified and healed of unrighteousness. We must. We cannot ever put our hand down. The minute we put the hand of faith down, America is lost. Yes indeed, I tell you, Jesus said it Himself, you, dear intercessors, are standing in the gap, preventing the wrath of God. A wrath He does not want to send. How important is that? Those who are here, and those who are online and those who will hear through this message on our website: how important is that? It is so important, every Christian and every nation all over the earth prays for us, “Stand strong. God help them stand strong.” We need America to be strong, but strong in God.